As you all know we are a very craft family and i love making stuff with Raiden. Here is a list of some fantastic ideas to keep the little one's entertained this Easter. Cut the sponge into small triangles, dip in the paint, then dab your egg with the sponge to create your background colour. 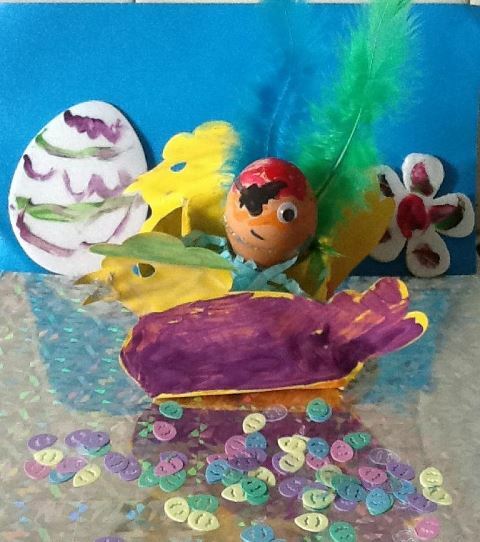 Once it’s dry, use the paint brushes to paint colourful Easter patterns and designs on to the eggs. Here is Raiden's. A pirate in a chicken boat. 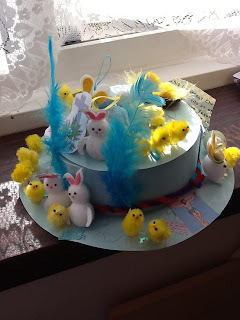 To make an Easter bonnet, all you need is a paper plate and a paper bowl. Cut out the centre of the plate, and fit the bowl into the hole to make the shape of a hat with a rim. Glue the two together, and attach a ribbon to each side for a chin strap. Gather lots of crafty bits and bobs that could be used to accessorise and decorate your bonnet – egg cartons, tissue paper, cotton wool, fresh flowers, raffia… Let your kids be as creative as imaginative they like! Go walking – spot spring animals! springtime is the perfect time of year to go walking as a family. The weather should be pleasant, and there will hopefully lots of chicks and lambs to spot! Check the Wildlife Trust website for great walking routes and ideas. 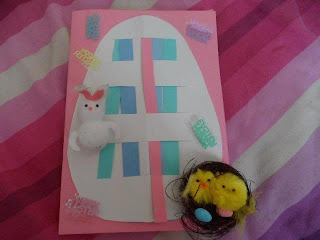 This is an activity suitable for children of all ages – all you need is card, some interesting colours and textures, scissors, glue and anything else that can be used to make the card look pretty… old magazines, raffia, and even sweet wrappers work well! Find fun family Easter events in your area! Creating an Easter Egg Hunt at home can be really easy. Hide eggs or bunnies throughout the house and garden, and with each one, leave a clue to the where the next treasure is hidden. Start your kids off by giving them the first clue! Also if you’re feeling really creative, why not draw a treasure map to help? Alternatively, you can buy a wicker basket and let your children decorate it with flowers, raffia and tissue paper! Chocolate Easter Nests are a delicious seasonal treat for all the family, and can be great fun for the kids to make! Just melt some delicious Lindt chocolate and get the kids to mix in some cereal. Place spoonfuls of the mixture on to baking paper, and make a little dent in the middle to make a nest shape. Leave the nests to set, and then pop in some lovely chocolate eggs. Pretty, and delicious! All you need to do is cover the outer ear flap in the gold foil, and then fold up the pink inner ear flap, securing the headband in the middle. Glue the two flaps together, and secure tightly at the base with sticky tape. Repeat with the other ear, and there you have it – hopping good fun! This year the LINDT Gold Bunny is enjoying 60 years of being part of Easter tradition in more than 60 countries around the world. So to celebrate this magnificent milestone, and re-invigorate the tradition of Easter in the UK this year, LINDT is treating us all to an egg-xtraspecial Easter hunt for all the family. This Easter LINDT will be sharing its expertise and values by holding special Easter events across the UK to inspire families to rediscover the fun of Easter traditions. 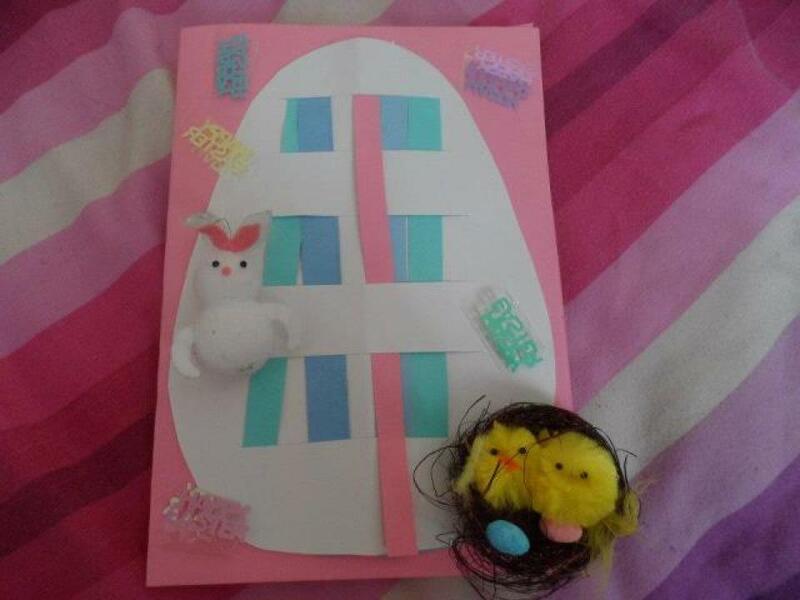 For those families who can’t be there, there will also be the opportunity to download special Easter packs from its Facebook page and read tips and recipes to make Easter extra special in their own homes and gardens. For more information check here www.facebook.com/lindtuk from March. 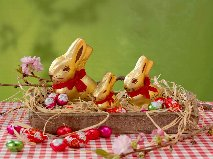 The expertly crafted LINDT Gold Bunny comes in an exciting array of sizes and gift packages to suit all Easter gifting occasions. From the iconic stand alone LINDT Gold Bunny (10g, 50g, 100g, 200g, 500g or 1Kg), LINDT Gold Bunny Easter Eggs, the LINDT Gold Bunny soft toy to packs of five and a NEW LINDT Gold Bunny and Friends Sharing pack which is perfect for the Easter hunt, the range is a complete one stop shop for Easter 2012. The story goes that one bright spring morning in March, when the ground was still covered with a blanket of crisp white snow, one of the LINDT Master Chocolatiers saw a little bunny in his garden. The Master Chocolatier´s young son was completely mesmerised when he saw the little bunny but began to cry as soon as it disappeared in the bushes. “When the bell rings, you can easily find it” the Master said to his young son. And so, the very first LINDT Gold Bunny was born. The LINDT Gold Bunny, Lindor eggs and other LINDT Easter products are available in all leading supermarkets, as well as online at www.lindt-shop.co.uk. Priced from £0.49.